Many winter flowering shrubs have small sweetly scented flowers: why not create a small scented winter garden using Viburnum, Hamamelis, Sarcococca and contrast them with the red winter stems of dogwood. 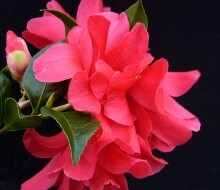 Hardiness H4-5 Height 2-3m. 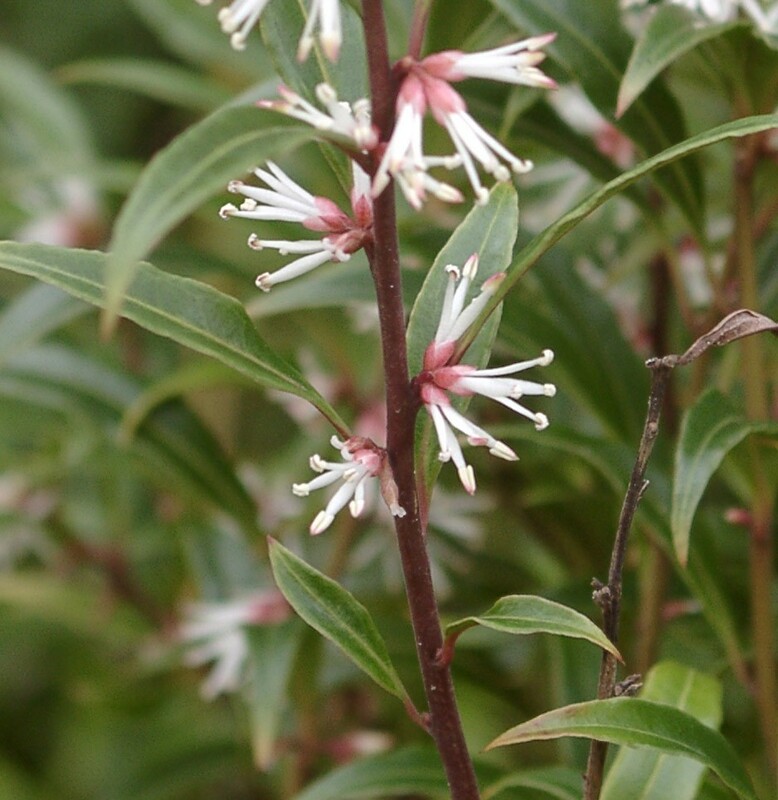 A wonderful winter flowering deciduous shrub which can flower on and off for months all winter. 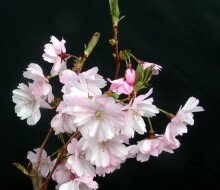 The sweetly-scented, long lasting pink to white flowers open during mild periods from November to February. Any reasonable soil in a sunny or partly shaded site. 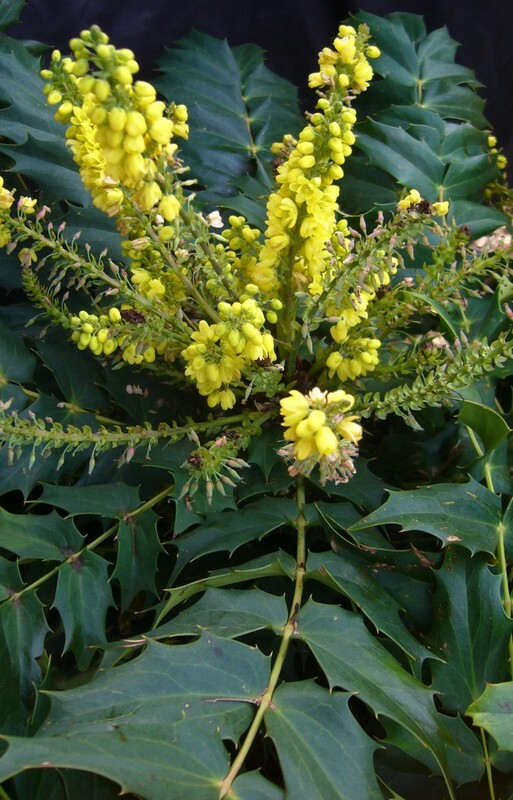 This popular compact evergreen is one of the most widely grown winter flowering shrubs. 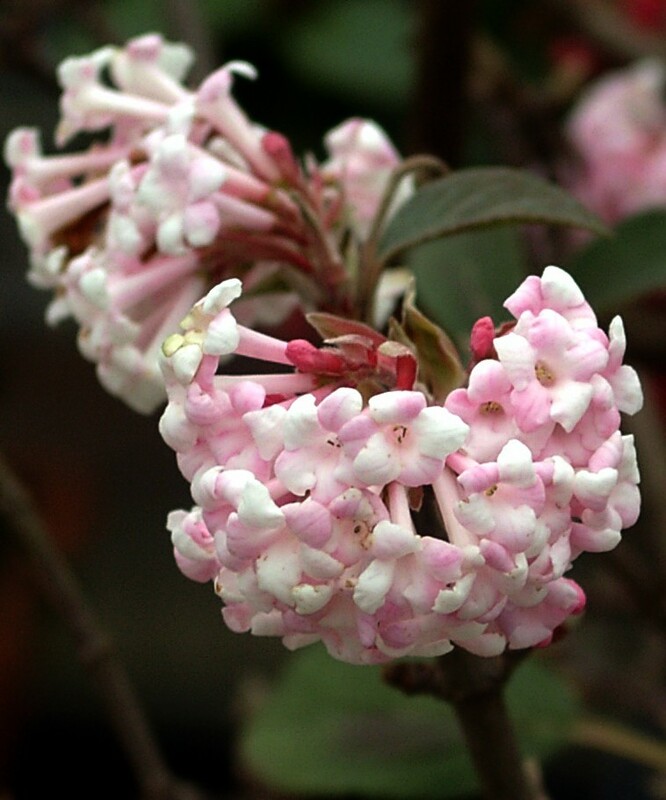 Hardniess H4-5 (height 1.5-3m) one of the most reliable winter-flowering shrubs, a fine dense, evergreen species with plentiful small white flowers in late autumn to early spring and blue-black berries. Pretty tough, but may be damaged in coldest inland gardens . 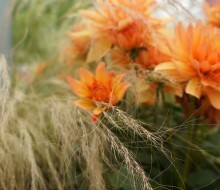 Flowers best in sun but tolerant of some shade, and good in coastal areas. If grown in a container, protect the roots by wrapping the container in very cold weather. Visitors to Glendoick in winter who visit our greenhouse in the plant area will soon be met with the sweet smell of Christmas Box. 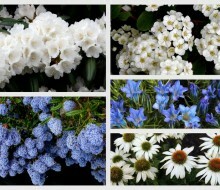 This popular evergreen small shrub or ground cover has a mass of small white sweetly scented flowers opening in midwinter, on a spreading. 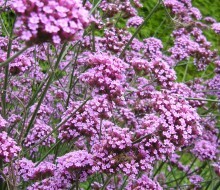 It has occasional black fruit in summer and is useful for its tolerance of dry shade. 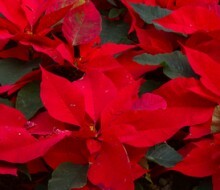 Plant it near the door of the house and you'll smell it every time you pass. When all else is frozen, one old faithful in winter-early spring is the Hamamelis with its frost-resistant flowers. 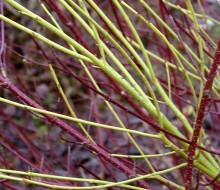 The curious spidery or string-like ribbons of yellow, orange or red petals are held on bare branches, and most yellow forms are scented. The more or less oval, ribbed leaves often turn to fine oranges and yellows in autumn. 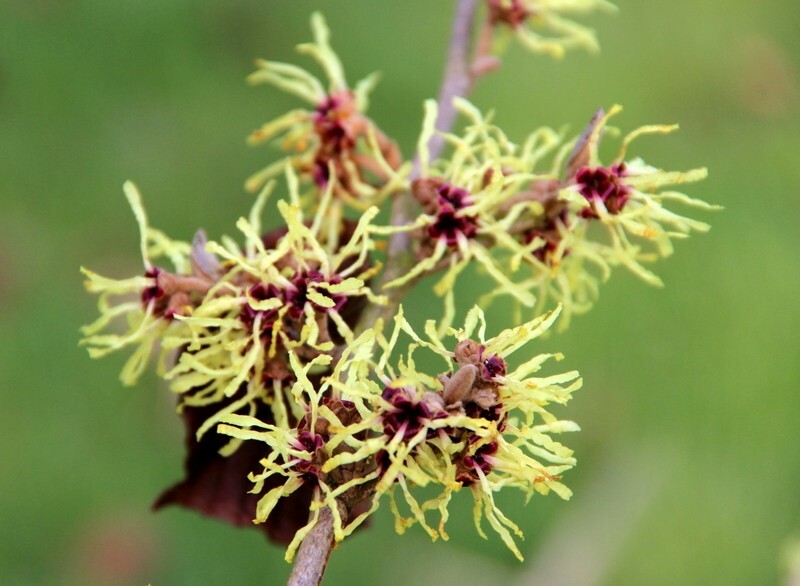 Hamamelis need moist well-drained soil in sun or part shade, with some wind shelter. Watch out for suckers from the rootstock and remove these. 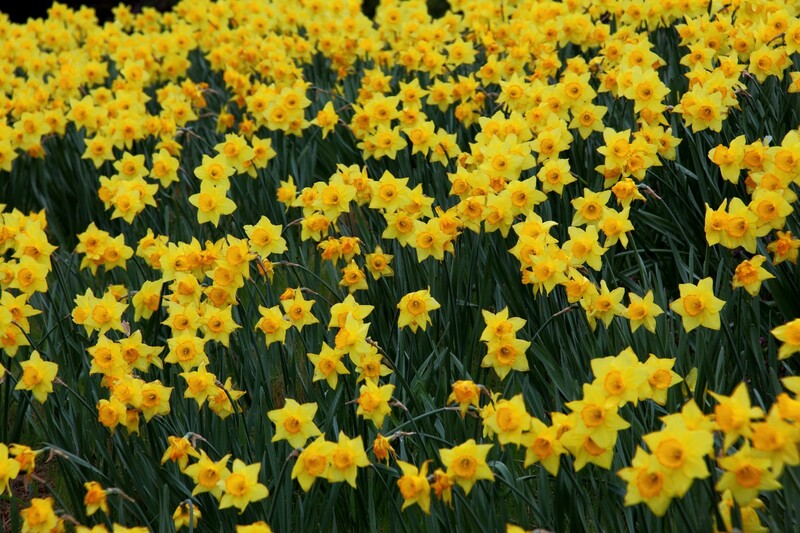 In mild winters, they can open as early as November, but typically by January to February they are at their peak. (Hardiness H5) Height to 3-5m. 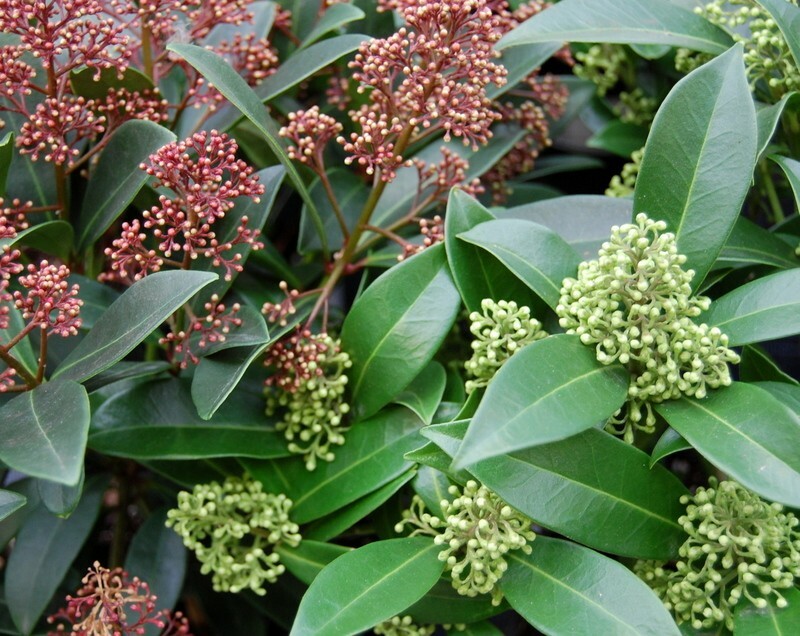 Skimmias are very popular winter interest evergreens, mound-forming, and good in containers. 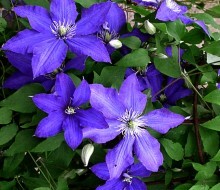 They like moist but well-drained acidic soil, and in the garden, grow best in some shade. The most popular are males with masses of tiny flowers. Both male and female varieties are required for the red or yellow berries, except in the case of the self-fertile S. reevesiana. 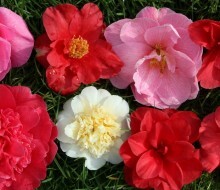 For good berrying in the garden best to plant a mix of several varities. cotoneaster, pernettya, pyracantha Wildlife depend on berries for much of their food in Autumn and the garden is an ideal place to provide berries to eat. 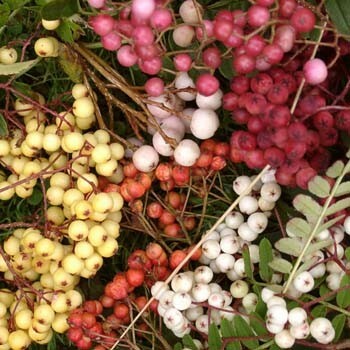 Sorbus (rowans), pyracantha, cotoneaster, pernettya are just some of the berrying trees and shrubs in stock now. Autumn and early Spring are the best time to plant soft fruit. Hybrid berries are crosses between a bramble and raspberry: ‘Loganberry’ red fruits vigorous, excellent for cooking. ‘Tayberry’ H4 larger sweeter reddish-purple fruits, bred at the SCRI, Dundee. 'Boysenberry' 3/4 Bramble, excellent for pies, jams, sauces. 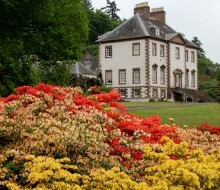 This is the time of year to plant barerooted hedging. 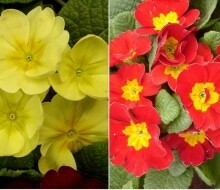 This comes in pots of 5 or 10 plants for £11.99 and will be in store by 1st November. 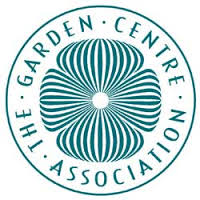 Chose from Crataegus Monogyna (Hawthorn), Hedging Fagus Sylvatica (beech- green), Hedging Fagus Sylvatica Purpurea (beech (copper), Hedging Ligustrum Ovalifolium (privet), Hedging Rosa Rugosa (rose). We can also supply Leylandii for £49 for 10 (to order). 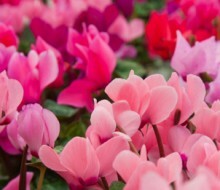 These are semi hardy cyclamen which can stay outdoors in Autumn is you protect them from hard frosts. 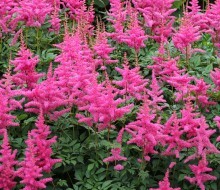 Red, pink or white, masses of flowers for weeks. Don’t let them get too wet. Everything is starting to grow now: buds swelling, blossom opening, leaves unfurling. 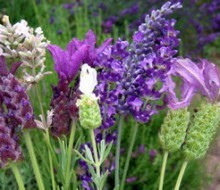 The garden reaches a crescendo this month: fruit, vegetables, herbs, perennials, roses, bedding all should be in full flower.